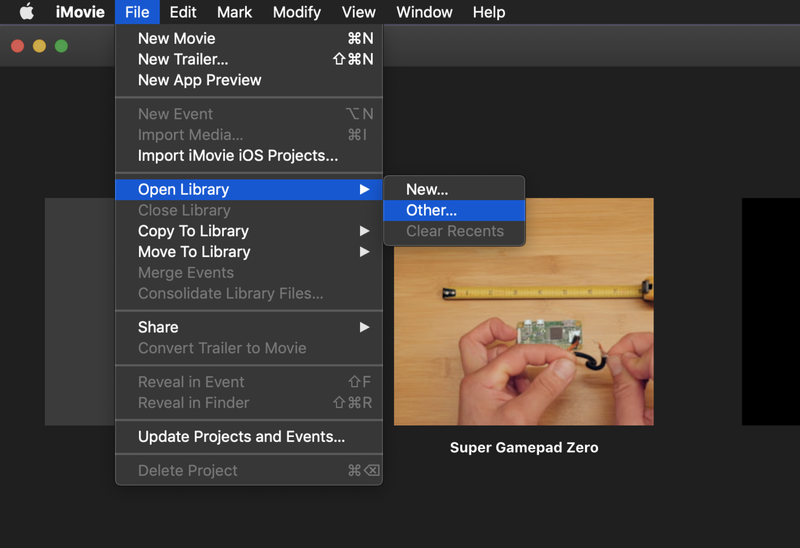 Move your iMovie projects between libraries with ease! 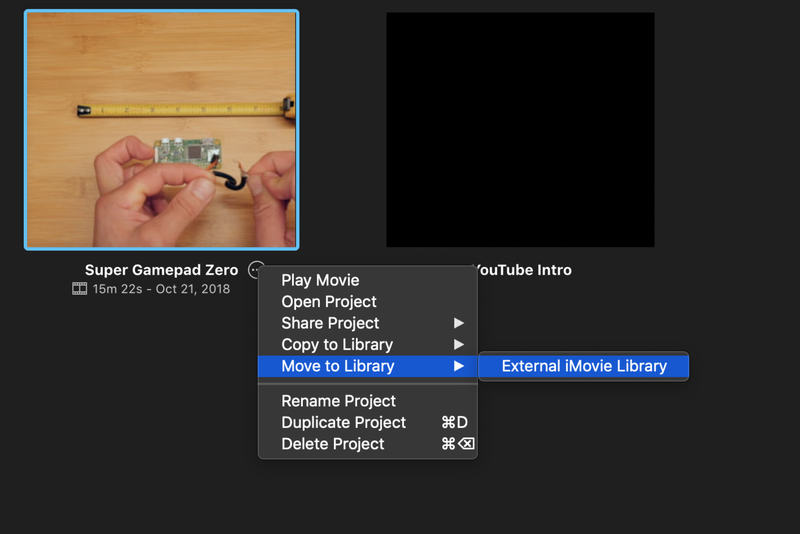 This guide will show you how to move an iMovie project to another Mac or to an external hard drive. This is especially useful if your Mac hard drive is small and you prefer to store your iMovie projects externally. Or, for example, if you got a new Macbook and want to transfer only specific iMovie projects to it. On the original computer, open iMovie. 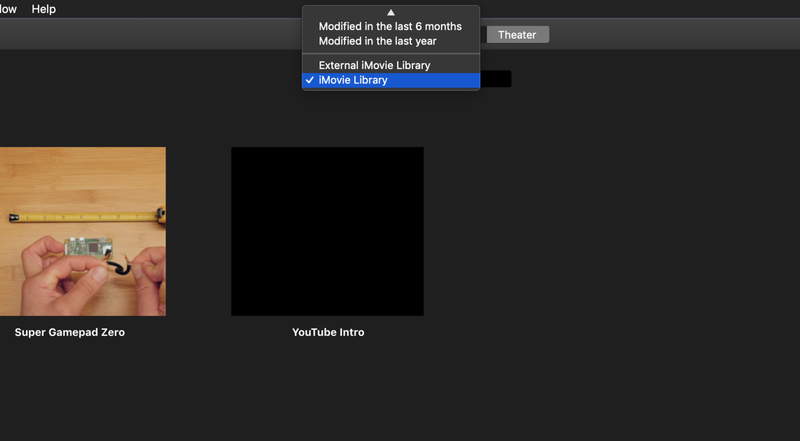 You'll need to be able to access both the source and destination iMovie libraries from the same computer. You can do this by connecting an external hard drive, setting up network sharing, or by temporarily copying the destination library to your computer. Navigate to File > Open Library > Other... and locate the external library. From now on, if your second iMovie library is accessible by this computer, it will automatically load in when you open iMovie. Pretty neat! Using the iMovie Library dropdown menu beneath the Media, Projects, and Theater tabs, select the source library (probably called iMovie Library). I recommend renaming your iMovie library to make things easier to identify. If both libraries have identical names, you can identify your source library by clicking on it and identifying the videos contained therein. From the Projects tab, click the ... three dots, choose Move to Library, and select your destination library. My destination library is called "External iMovie Library" since it's on my external hard drive. For example, if you're transferring over the network, you'll be limited to your network bandwidth speed. If you're transferring to an external hard drive, you'll be limited by the USB 2.0/3.0 speed. If you're transferring to a local copy, you'll be limited by your hard drive speed. You can watch your iMovie library transfer progress by clicking on the "circle" in the top-right of iMovie. This is where you normally view export progress. Close iMovie when you're finished. You're all done! The Xbox 360 isn't just for gaming -- you can also use it to watch movies. The video formats listed in this guide are Xbox-compatible. When I'm coding, I love to watch the occasional X-Files or Futurama episode on my external monitor while I work.